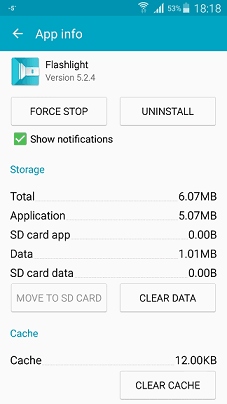 This page aims to help you remove the Android Ads on Lock Screen that comes alongside ES File Explorer and a variety of other applications. These Android Ads on Lock Screen removal instructions work for all Android devices. 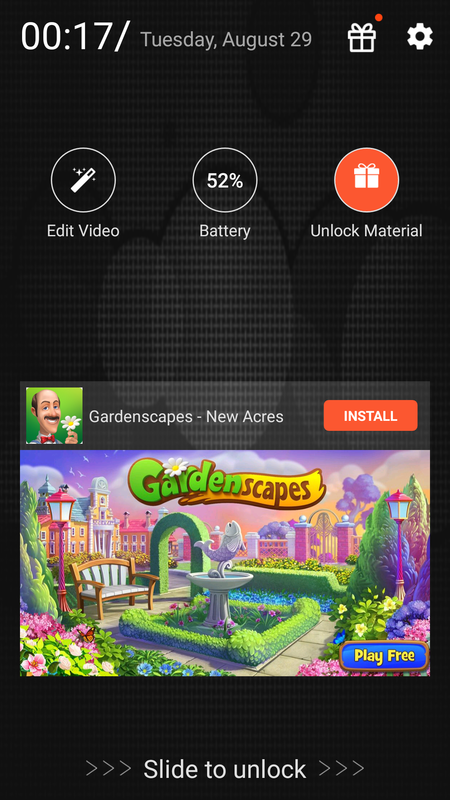 Are there annoying ads over your android’s device lock-screen? – we might be able to help you! Recently a large number of users have been complaining that once they attempt to unlock their android smartphone, they are greeted by a blue screen and pop-up ads all over the place. At first this may seem odd and even disturbing, because you might think that some kind of virus has gotten onto your device. Know that there’s probably no need to worry. Intrusive ads are commonplace among both mobile devices and computers and they are usually caused by the same thing. There’s a certain type of programs, whose main purpose is exactly that – the generation of various intrusive and annoying ads. This type of programs/application is called Adware. It should be noted that not all ads you see on your phone are caused by an adware-like feature loaded into another app you have installed.These Ads will appear every time you try to unlock your phone and are a sure sign, that you dealing with one of those intrusive, ad-generating programs that go out of their way to annoy you with their intrusive pop-ups. Its easy to name the app responsible as Adware, but the reality is that someone somewhere made a terrible decision to add this Android Ads on Lock Screen to his app. You’re not supposed to see ads when you open your phone. Still, as we mentioned earlier, there’s no need to panic. It might seem strange and you might even think that a malicious program is messing with you phone, but this is hardly ever the case. Adware programs themselves are not dangerous. The main problem with them is that they are overly annoying and often frustrating. Besides, those ads on your lock-screen/charging-screen might also block certain notifications – yet another reason to find a way to quickly remove the annoying app. There is still another kink to this issue – the content of the Ads themselves. Definitely not fun if your friends see your phone covered in Viagra Ads….. Interacting with them is, of course, inadvisable – some of the ads might open some kind of malicious internet page or maybe even start downloading harmful (or otherwise unwanted) content on your device. This does not happen in the majority of cases and most of the ads are legal and safe. Still, we advise you not to risk your phone’s security and have the app responsible for the ads removed as soon as possible. For that, we have prepared a guide down below this article on how to have the unwanted program removed from your device. Before we move on to the removal part, we will give you some extra information on how those adware applications get installed on your smartphone and how to avoid getting them in future. Also most most apps related to GO tend to have that annoying feature of displaying obstructive ads over your display. Another very common complaint is from ES file explorer – this app’s charge boost feature is said to shorten your phone’s charging time and boost your battery life. However, often it’s most prominent feature are the Android Ads on Lock Screen that you see when your phone is charging. It may even prevent you from getting certain notifications. With all of that being said, you should’ve already made up your mind whether or not you want to keep the program that is causing all these ads. Know that in some cases it might be difficult to know which exact app is responsible for the intrusive pop-ups. If you’re in doubt, try to remember what was the last application you downloaded before the adverts started to appear. Also know that this annoying feature is usually associated with free or cheap applications, so keep that in mind. One of the possible sources of the Lock screen Ads is the ES File Explorer application. If you want to keep using the ES File Explorer it is possible to turn off this annoying feature by opening the ES File Explorer app and changing the settings. Naturally, “Flashlight” is not suspicious, merely an example to show you how the menu should look like since I only have ES File Explorer on my device. In there you will see a list of apps that have admin status within your system. 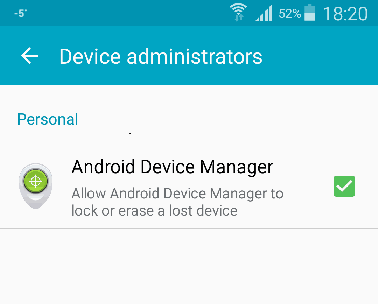 They’ll probably be listed under the Android Device Manager. Remove ES File Explorer from this list. Now you should be able to remove it as normal. They would charge you up to 5 dollars and they were not as Intrusive …..
Now people drop 100$ a week on clash or you download a “free” game and they get onto bed with you and softly whisper all the great deals to be had as they spoon you …. Always a pleasure to successfully help our readers resolve their software-related issues. If you should run into any other similar problem, do not hesitate to contact us! Thanks! Z Camera was my culprit. It sent anonymous lock screen ads. Also, ads kept showing up silently in my notification flow. Very annoying. You are most welcome! Should you ever happen to face a similar problem, do not hesitate to contact us again. Hi, Read the article with great interest, but, unless I have misunderstood you, I am no wiser! I do not have any of the apps that you list, and as far as I can remember have never downloaded any of them. So how do I identify an app(s) that is causing the problem? Hello, there. Do you have an optimization app or antivirus app on your device? It might be coming from that application. Though it is unlikely, it could still be coming from them. However, we advise you to send us a screenshot of applications that you have recently installed – this might enable use to determine which application is causing the problem. What is the application’s name? check for ‘Peel Remote’ also. If you have it, touch and hold on the icon until it allows you to move it to a ‘turn off’ button at the top of the screen. this fixed it for me as I don’t have any of the other mentioned apps either. We advise you to try and uninstall the recently installed application (AppMgr111) since it might be the cause for the unpleasant adverts. I have uninstalled AppMgr111. I am now getting a blue screen on an irregular basis and mostly after unlocking the lock screen! I am not going to re install AppMgr111 for the moment and wait and see if there are any further developments. Does the said blue screen prevent you from doing anything on your device? Also, does it go away on its own or do you have to restart your device in order to get rid of the blue screen? No it does not prevent me from doing anything on my Samsung Tablet, and by swiping to the right, it goes. Thanks for all your advice and help, but it is now more of a slight inconvenience which I will learn to live with. It has become fascinating more than anything else to try to find the cause. We are glad that there has been an improvement. Still, if you would like to fully get rid of it, we are ready to provide you with our further support. Did the uninstallation fix the issue? We are happy to have been able to help you. Hopefully, you won’t be bothered by the unpleasant software anymore. However, if the issue persists or returns in future, feel free to contact us again and ask for our support. Unfortunately none of the suggestions worked for me. I do not have any of these apps listed as the usual suspects installed and I still have the lockscreen on my s7 edge. Can you send us a screenshot of the most recently installed apps on your device? So now I am only left with a few adware scanners and Eset that did not detect anything at all. What surprises me is that this ad has no button anywhere …just the slide to unlock message. Do you have an antivirus or some form of device optimization app on your device? We are glad to have been able to help you. Thank you for your suggestion. If you ever run into any similar problem, do not hesitate to contact us again. Try temporarily disabling any antivirus or device optimization app that you might currently have and see if anything changes and tell us what happened. If nothing changes, re-enable them and we will see what else could be done. Also, we still believe that sending us a screenshot of your apps can help us determine the source of the issue. Indeed, some people do not mind those ads but this does not mean that they are supposed to show on your lock screen. We are glad that we’ve been able to help you. We are delighted to hear that! You are most welcome. Be sure to seek us if you ever run into a similar issue again. HI Did not work on my Note 5. Do not have any of the apps listed. Took out many apps and still can’t find problem. Tried to take out Android Device Manager but it just went fuzzy. Can you send us a screenshot of the apps that you have on your smartphone? I don’t have any of theses apps installed on my GN2 but my locks screen has an add screen on it that I cannot get rid of. I thought,as some users also have that it was part of an android upgrade. But its not .Please can anyone help? Thanks if u can . What recently installed apps do you have on your device? It would greatly help us if you send us a screenshots of the apps that you have on your device. Also, we advise you to avoid interacting with the intrusive content that is being displayed on your device’s screen. The issue might be coming from another app. If you send us a screenshot of the applications that have been installed on your device, we might be able to tell you if some of your current apps might be causing the problem. You are most welcome, Chatty! We are glad that we’ve been able to help you. Be sure to contact us again if you happen to run into any similar problems. Yes, do remove the app and the issue should no longer be present. We are glad to have been able to help you. You are most welcome! We are glad to have been able to help you. To clarify: your issue is that you cannot access the applications manager on your device? We are happy to have been able to assist you in handling your issue! Its the stupid useless uncle sam peel remote app. It will try to push shitware to the phones, being only a fucken tv remote app… why does it need shitware to work?? Im not sure. I dont use it and its only useless shitware. What other apps do you have? Is there anything that is supposed to optimize your device or keep it protected. A screenshot with your recently installed apps might help us determine the cause of your problem. Have you tried anything from the guide manual that we provide? 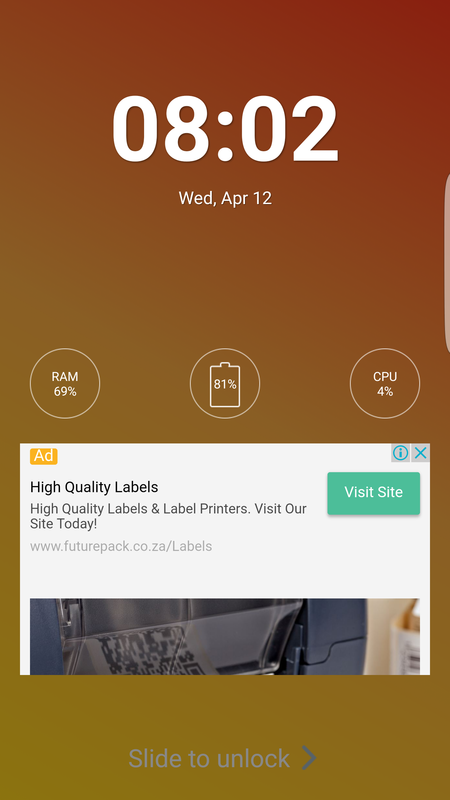 I disabled the flashlight, but still get ads on the screen lock of my Samsung J7. Any idea how to not get them? You aren’t supposed to disable the Flashlight. In the guide, it says that this is just used as an example of what you should do with the actual app that causes the issue. There’s a list of apps in the guide so if you have any of them, you should disable them. Additionally, the problem might be coming from some other app so if you want, send us a screenshot of recently installed apps on your device so we can further help you if you cannot find the cause of the problem. Did you uninstall the Flashlight? I just did it and it fixed it for me. I did what was said and does not work. Help! What recently installed apps do you have? If you send us a screenshot of your recent apps, we might be able to tell you what the potential cause of the issue is. a look at them for you. Did you take a look at our removal guide? Also, what recent apps have you had installed on your phone? A screenshot of the list of recent apps might help us. I had this same problem on my T-Mobile Samsung Galaxy S7 Edge with a game that I had installed for a long time. Recently I noticed the intrusive ad on the lock screen. I uninstalled it and left a 1 star review to warn other users. The app is Jewels Star by the developer ITREEGAMER. I also reported the app to the Google Play Store. I suspected that Z Camera was causing my lock screen annoyance, and you confirm that it does so. Too bad, because I like the camera app, but I hate that they put their annoyances in places I don’t think they should. If they want to flash an ad at me in the app, that’s one thing, but beyond their own app, they are not welcome. Goodbye Z Camera. The “Best Me Selfie” app just added this “feature”. I consider hijacking the lockscreen to be malicious and reported it to Google as a malicious app. If everyone reports these hijacking apps they will have to stop doing their hijacking or Google will remove them. Well, in that case it might actually be due to the Flashlight app or rather the update that you agreed to. Apparently, as of recent, even the Flashlight apps seems to come packed with unpleasant ad-generating features. Hopefully, it will help you handle the issue with the unwanted ads. There are no ads on this page – the only thing that is promoted on our website’s pages is a malware-removal tool. If you experience any unpleasant ads when visiting our website, they are not coming from the site but from something that’s on your device. It was the flashlight. Thanks. Hello there, we would like you to send us a screenshot of your most recently installed apps. It is likely that something’s left on your device (some unwanted application) that is causing this issue. This was the culprit. Thanks! Me too! It was not allowing me to snooze or cancel my alarm. So far, uninstalling the flashlight app has done the trick. Looks like “Flashlight” updated the app a few weeks back and which activated the ads. Removed this app and now ads have disappeared. I use a Galaxy S7 and it sure was Flashlight. I have had it since the beginning but only lately I noticed (since this ad screen appeared a couple of updates ago) that it is using data. Now why would flashlight need to use data, unless it is transmitting ads! Lol.. I’m with Rob, Flashlight was actually the culprit. They added the ads with the latest August update! Thanks for the help this did help me go d the problem! Yeah me too, with the August update. Lol. You pay for what you get and I paid 0 so I got ads! What other apps do you have on your device? Can you send us a screenshot of the most recently isntalled apps that you have. Also, the issue might be coming from the Flashlight app – this also seems to commonly be the culprit of the unwanted locksreen content. As it seems, even the most seemingly harmless of all apps might sometimes get turned into a Hijacker-like piece of software. While these adds are running constantly throughout the night as i charge my phone, is it using my data? That is possible if your data is enabled. You should better get rid of the ads using our instructions. This is the one thing I like more about iOS – when I had my iPhone, I had no ads. That being said, I still prefer Android. I just wish there was less adware. I’d rather pay a dollar or two for an app without ads than get a freebie with ads. I have had the same problem. Thanks to the contributions below I uninstalled FLASHLIGHT, and No more ads. Yep. That stupid ES file app. It used to be great, now is more trouble than it’s worth. Thanks. Ironically it was the flashlight app that was causing this. There was a settings option that was never there before called “Smart Charge”. It was turned on by default and had. “may display ads”. Turned it off and they haven’t come back since. Same here. It was the update on the Flashlight App that added “Smart Charge” – turned it off also. Does anyone recognize that one ?? War wings ? Videoshow ? The culprit could be some other application. Thank you this really helped..I have uninstalled touchpal and now I don’t see any ads after unlocking my screen. These ads as soon as you unlock the screen pop up which is very annoying. We are glad ti hear that your problem has been resolved. Thank you, this really helped! It was one of the sneaky GO family. You are most welcome! We are happy to hear that your issue has been dealt with. What other apps do you have? The issue is likely from another app that isn’t on our list. On my phone free Flashlight app was the cause of this issue. Mine came with a game I downloaded in the wee hours- Ball vs Block. Thanks for helping me keep calm instead of freaking out about a virus on my phone! It was the flashlight App on my phone also. Mine was the Advanced Task Manager (said it at the bottom of the ads) that helps keep down my running apps. I switched to the Ad Free version because I use this app all the time, it was worth buying. Thank you, thank you, thank you!!! I removed the flash light app and it went away!! You are most welcome, Renetta, we are glad to have been able to help you! Thanks so much, Touchpal was the culprit! If the ads are coming from the application, there is nothing you can do about it – you’d have to choose between having the app or removing the ads. We are glad to hear that your problem has been resolved! for me it wasnt any of the apps listed ( I dont have any of those) but it was the flashlight app. 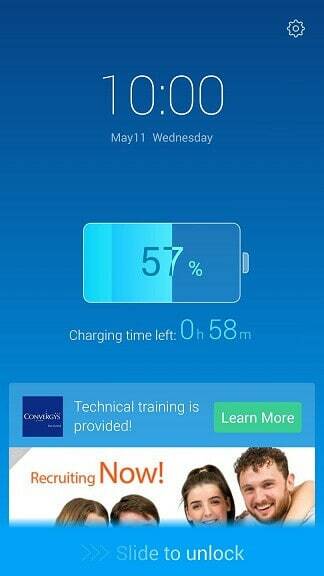 My wife’s phone updated and received an annoying battery lock screen. I removed all known causes and it was still there. The culprit was Kingoroot, the very app that rooted her phone. Add kingoroot to the list. Flashlight was the problem on my phone. You should update your article, not everyone reads the comments. I had to go searching on the phone, only to come back here and see it was already addressed in the comments. damn flashlight app for me too! We are happy to know that we have been able to help you resolve your problem! What other apps do you have. Sometimes, applications that did not trigger ads before may start to do so after an automatic update so the culprit may be an older app that recently got updated. 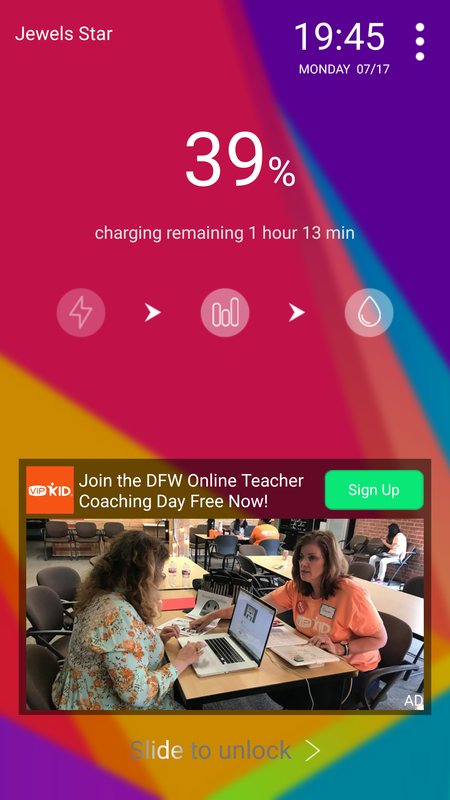 I turned off the Smart Charging App and the ads went away. Three dots at the top right hand corner. Turn off Smart Charging and no more ads. Did you try our guide? I’m seeing this kind of nuisance from ShareIt right now. Please update without the flashlight example. That was the app that was the culprit! There could be another app that creates ads as well. What recently downloaded apps do you have? Thank you for this tutorial. You added missing pieces the other turials didn’t have. It looks like a receipts app was the problem. Thanks again! Thank You! I just un-installed Z Camera, gone! We are glad that you no longer need to deal with the unpleasant ads. We are glad to have been able to help you. You are most welcome! what about not installing any apps and these ads are still appear to me on my lock screen ????!!!! It must be coming from some other app – for instance, an older app might have received an update causing the ad disturbance. Shady Z Camera was the root of all evil for me. You guys and/or gals are awesome, keep up the good fight! We are happy to have been able to solve your problem! What other recently installed apps do you have? Also, try to Force Stop, Uninstall Updates and Disable the Flash Light as it probably can’t be fully uninstalled from your device. If the ads are gone, there should be no issue with your device. If you start having any problems, contact us in the comments again and we will try to help you solve it. Can you give us a screenshot of your most recently downloaded/installed apps? Anyone know what this is?!? Started about a week ago, I don’t have any of the apps they talked about. I deleted the last 4 apps I downloaded in last few weeks.. still having issues..
You must still have some other app that’s causing it. What other applications do you have? thanks for this good advice. for me the culprit was avira though. Utter BS. How dare they send me marketing filth on a device I paid for. It is not ad supported people. Well, the issue is likely coming from an app that’s not in our list. What other apps do you have on your device that have been installed recently? The annoying thing is I can’t simply uninstall apps one by one, and test. It takes up to a week for the popup ad to occur. Try temporarily disabling the Flashlight app. As it turns out, oftentimes it is actually the Flashlight that causes the ads. See if anything changes after you do so. Good call. Since Nougat has a flashlight on the settings screen, I don’t need a separate app. 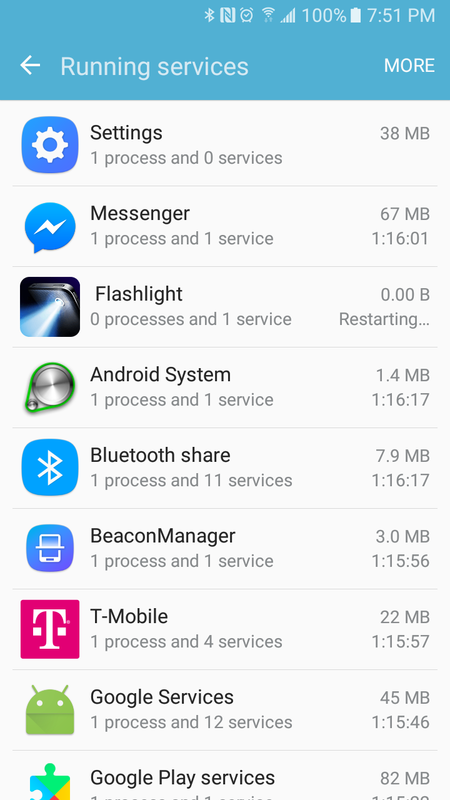 I went to uninstall Flashlight+, and I notice that it used 1.05 MB of mobile data in the past 6 weeks. It must be downloading ads. 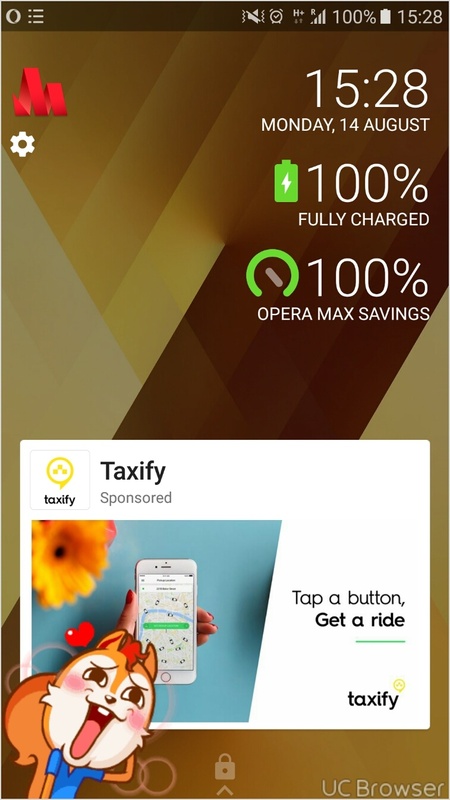 Since a flashlight app only has an icon, it needs another place to display its ads. Hopefully you will no longer have such problems. If the irritation continues or comes back, do not hesitate to hit us up again! Mine was a workout app I had downloaded a few days ago. Uninstalled the app and voila no more annoying adds on my lock screen. Thank goodness because I was on the verge of throwing my phone away. Zemana gets bad reviews in Google Play. I removed a fitness app (ManFit) that I had downloaded a few days ago, but whose ads only started to appear today. The annoying ads are gone ! Thank you! Downloaded this app as well, annoying lock screen ads. All the girls out there… Rosa the period tracking app does this. The principle is the same regardless of how new or old your phone is. It also doesn’t matter if an app has been on your device for a long time. Unfortunately, sometimes, a new update might add an ad-generating component to a certain app that has never generated adverts up to this point. Thank you, thank you, thank you!!! I was soooo ready to throw my phone out of the window after at least 4 weeks of this annoying lockscreen bs. I just uninstalled GOkeyboard, and it’s gone 😀 Very useful article! We are glad to have been able to help you, you are most welcome! This article did not help at all, because it did not have the app that was causing the issue listed. For me it was an app called Smart Scan, a barcode scanning app that 1. Did not work, 2. Did not ask for any permissions, 3. Did not have a setting to turn it off. We never said that the list provided in the article was exhaustive. It is not possible to have all potentially unwanted apps listed on here. Still, the concept is the same – as soon as the problematic app is detected, upon its removal the issue should no longer be present. Have you recently installed any new apps on your device? I need to remove adds in my lock screen, please. Did you complete the removal guide from this page? In case you haven’t done that yet, we advise you to give it a try. Hi, this problem started yesterday after I downloaded two games. I have now uninstalled the games but the ads are still there. Please help. Are you certain that nothing else got installed alongside those two games? Have any of your other apps received any recent updates? What other recently installed apps do you have? I don’t think that this article goes far enough. I have followed the instructions and still have pop-up ads when I login to my Samaung Galaxy S7 with Android 8.0.0. There are other sites with a far more comprehensive list of guilty aps. I wanted to find my list of recently installed aps but the play store only allows me to list my aps by update time, not by install time, so not helpful when auto-update is turned off. Now I have it Off! Is there a way of identifying what aps are bringing up these pop-ups? The REAL solution to this problem is to partition Google to NOT allow this feature – or at least provide a user setting or permission before an app can hijack the lock screen. I didn’t understand instructions to turn off ads in settings. About a week ago ad screen started over night. I did install a new app next day. TouchPal Keyboard generates POP UP and LOCK SCREEN ADS. 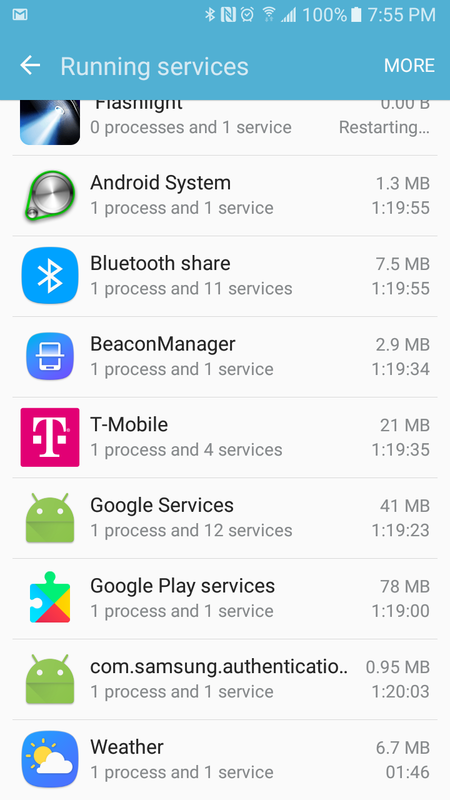 I carefully re-checked to make sure that it was indeed the culprit and found that it does it in combinatiom with another app called “Cool Blue Keyboard” and similar apps that pass themselves off as themes within the settings of this their parent app, but which are in fact installed as separate apps from the Play Store. Keep reading to find out why this is a problem. I first installed the above TouchPal Keyboard app, and then went to its settings to change the theme. This “cool blue” little parasite is listed there as an option, only it is not simply the function of a setting of TouchPal Keyboard, but when you install it, it takes you back to the Play Store and installs as a separate app, which I didn’t think anything of at the time. This is where the problem comes in. I quickly determined that TouchPal Keyboard wasn’t going to be my cup of tea, and so unintalled it. Only this sneaky thing didn’t uninstall with it. Okay, so what? I just need to go to my Apps List and uninstall this “Cool Blue” slimy thing too, right? NOPE!! Once TouchPal is gone, this “Cool Blue” slime DOES NOT APPEAR IN THE APPS LIST EVEN THOUGH IT IS VERY MUCH STILL THERE, and ready and willing to gleefully drive you batty by generating ads in undetectable anonymity. I only discovered this fact quite by accident. Once I started getting these unwanted ads, and deleting apps one at a time to try to find the source, after many unfruitful attempts to track down the culprit, I finally opened Google Play Store clicked on “My Apps and Games”, then “Installed”, then “Last Used”, and there it was on the list (again it was not listed in my phone’s App List). From there I was able to click on it and bring it up in the Play Store and click “Uninstall”, and the ads were then gone. I suspect this thing is able to hide because of a loophole in the Google Play Store by passing itself off as a mere settings option within another app (TouchPal Keyboard, which cannot possibly be innocent in this), and so I will accordingly be posting this info to every Google Play and Android feedback link and forum I can find, and otherwise continue to screech, and scream, and complain, and yammer until something is done about it. There is never, EVER, a circumstance in which an app that I install should not appear on my phone’s app list and thus remain hidden! It was recently updated. I drilled down, and saw that permissions to contact me were turned on. Then I turned it off, and the ad-lock-screen did not come back. For me it was Samsung Push Service. I do not have any adware installed. Thank u admin for helping people out. My problem was little different but would share solution with all. Thank you so much! You made my day by fixing this issue! We are very happy to have been able to help you solve the issue! For me the app was “Smart Scanner – QR and Barcode Scanner Free” judging by the reviews countless others had the same experience with this app. No help for me. My intrusive lockscreenplugin is dark orange, and my android is new so none of the pathways to fix it are the same. Boo. I had kitty play and uninstalled it. Still have the problem. How to get list of apps in install order? There should be a settings button in your apps list and there should be a “sort by” option. Not all phones have it, though, so it depends. You may need to look at the specific date for each app to figure out which have been installed most recently. Also, you may try to remember what apps you have installed most recently.